Ingesting turmeric may help improve your memory and even help you live a happier life, according to a new study published in the January issue of the American Journal of Geriatric Psychiatry. The study, which was conducted by researchers from the University of California Los Angeles, shows how curcumin, a chemical compound in turmeric, improved the memory, attention abilities and mood in participants that were taking the daily supplement. Carried out over a period of 18 months, the double-blind study involved the participation of 40 adults between 51 and 84 years old. Since the experiment was also placebo controlled, some participants were either given 90 mg of curcumin twice a day while others were given a placebo for the duration of the study. In order to examine the difference between those who took the doses of curcumin and those who didn't, researchers had all adults undergo standard cognitive assessments at the beginning of the study and then every six months until the 18-month trial was complete. Patients also had their blood tested to monitor curcumin levels and underwent PET scans to determine the levels of amyloid and tau proteins in their brains. According to officials, said proteins are "tightly connected" to Alzheimer's disease. By the end of the study, researchers concluded that memory and attention abilities improved by 28 percent in those who were ingesting curcumin after examining their performance in memory tests. The conclusion was further backed by the result from PET scans that showed "significantly fewer" amyloid and tau proteins in their brains. Incidentally, patients also reported mild improvements in their mood during the study. 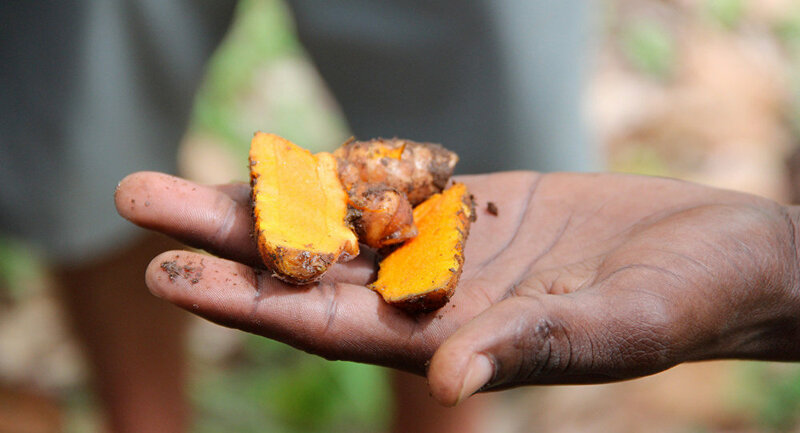 "Exactly how curcumin exerts its effects is not certain, but it may be due to its ability to reduce brain inﬂammation, which has been linked to both Alzheimer's disease and major depression," Gary Small, a leader researcher in the study, said in a statement. "These results suggest that taking this relatively safe form of curcumin could provide meaningful cognitive benefits over the years." Despite the positive results, officials did note that four patients were overcome with mild side effects such as stomach pain and nausea. Researchers are now planning to begin a new study that will involve a larger group of people, including those with mild depression, to test the possibility of curcumin having anti-depressant effects. With the help of a larger pool of participants, officials also hope to see whether if curcumin has any effect on adults who have a higher genetic risk of Alzheimer's disease.